Though it's rare that I get a chance to link to any on this site, I'm a big fan of instrumental albums. Back in my high school daze, I spent hours listening to Kid Capri's series of beat tapes, Frankenstein's records, and the B-sides of various Pete Rock and Prince Paul cassingles (which at the time were the only place I could find instrumentals). Over the past few years, however, I haven't come across too many new instrumental albums. J Dilla put out two great releases that I listen to regularly, but beyond that the only other names that come to mind are DJ Shadow and RJD2, though some might argue that their albums stretch the definition of "instrumental." 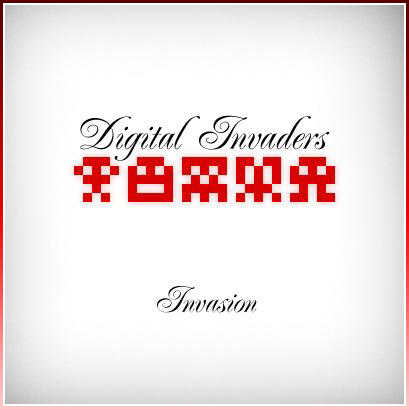 Thus, I was pretty excited to hear what Bless 1 and his international crew of producers, The Digital Invaders, had come up with for their first collaborative effort. Featuring original beats by producers from Chicago, France, Germany and Philly, the just-released Invasion is easily the best instrumental album to come out since Dilla dropped Donuts over a year ago. And for those of you who are only checking for songs with lyrics in them, here's the remix of the Shop Boyz' Party Like a Rockstar Remix. I'm still not sure why that song is so popular, but the promo team behind the group has been flooding me with emails over the past few days. I'm putting the link to the video up merely in the hopes that they'll stop spamming my inbox.